Dragon Keepers Series - Win a Kindle Paperwhite! Follow the sisters on their journey as they learn the complexities of diplomacy and courtship. Only one may remain as Keeper, and the rivalry between the two dragons would be challenged enough for Celestra Rose, only to find that their are humans who wish for her downfall as well. 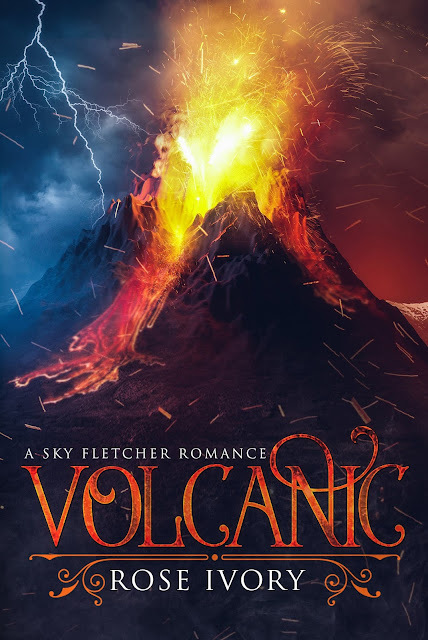 Sky Fletcher had everything going for her: an esteemed position at The Daily News, the perfect New York apartment, and a brilliant boyfriend just weeks away from popping the question. In a single afternoon, the veneer of her relationship is ripped away as the nation dissolves into a frenzy. A supervolcano in the Western US is set to blow. Suddenly single, Sky makes the cross-country trek to report from the research base that monitors the volcanic mountain. Dr. Marcos Vega, a celebrated volcanologist, leads the unit that has gathered at the center. From his sprawling tattoos to his intimidating build, he’s nothing that Sky expected to find in the team’s lead scientist. Distant, cold, unreadable. He’s no one she’d want to get mixed up in...on paper. If only he weren’t so mysterious, so distracting, so quick to make the hairs on the nape of her neck stand on end. On the biggest assignment of her career thus far, Sky’s determination to keep things professional threatens to crumble at Marcos’s rough fingertips. Nothing spurs romance like the possible end of the world. This is my affiliate link. Should you make a purchase through it, I may earn a small commission to help support my websites at no additional cost to you. Rose Ivory is an emerging author of contemporary and paranormal romance. She lives in Long Island with her husband and their two fur babies. I was compensated via Fiverr for sharing this post. I only share those books that I feel will be of interest to my readers. Fall has finally arrived and the air is getting cooler. It's almost time to start thinking about Christmas. And I do love Christmas stories so much! 'Tis the season to start collecting them and curling up with a hot cup of coffee, tea, or cocoa and immersing yourself into some romances. 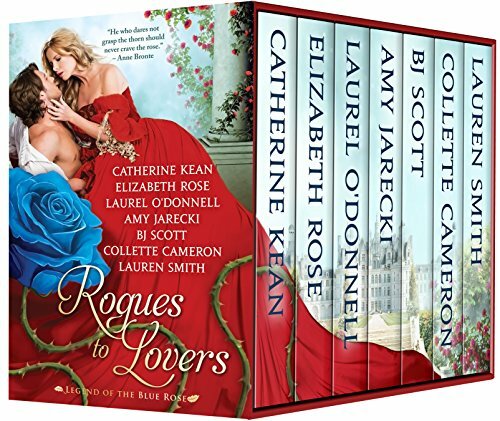 Start with this anthology of nine sweet romances. Get a preview of all nine stories and then be sure to download your own copy! I already picked up mine. Leave questions and comments for the authors along the tour and then also remember to enter the giveaway at the end. Fill your holiday stocking with love and 9 sweet romance novellas, from USA Today, Publisher’s Weekly, and award-winning authors. Sweet Christmas Kisses 5 brings you heartwarming contemporary romances that celebrate the joy of the season around the world, including in snowy Maine and the sun-kissed skies of Florida, the mountains of Colorado, small-town Illinois and South Carolina, New York to San Francisco, and even the glittering lights of Paris and the old-world charm of Florence. The Sweet Christmas Kisses 5 bundle features all-new, standalone novellas that will make you smile and fill your heart with the Christmas spirit. by Beate Boeker, USA Today Bestselling Author. After losing her beloved grandmother and getting dumped by her boyfriend, Sabrina is left feeling like Scrooge this Christmas. She makes a plan to survive the holidays in Florence, only to realize her grieving grandfather has a plan of his own. One that involves the crazy Mantoni family and the distractingly handsome man she’s determined to avoid. It’s beginning to look a lot like a tricky Christmas. Beate Boeker is a USA Today bestselling author with a passion for books that brim over with mischief & humor. She writes sweet, sophisticated romantic fiction and cozy mysteries, many of them set in beautiful Italy. While “Boeker” means “books” in a German dialect, her first name Beate can be translated as “Happy” . . . and with a name that reads “Happy Books,” what else could she do but write novels with a happy ending? by Christine Bush, USA Today Bestselling Author. Widow and retiree Gabby is ready for a rocking chair. At least according to her daughter. Except maybe she’s not. After getting stranded in a Maine snowstorm with a silver-haired fox, Gabby might find the courage to say “yes” to life once more, and find a Christmas love she never expected. Christine Bush is an award-winning author of many sweet romances, mysteries, and novellas. When she’s not writing, she can be found teaching Psychology at a local college, working as a Marriage and Family Therapist in private practice, or (mostly) spending time with her twelve grandchildren. by Milou Koenings, USA Today bestselling author. When a supermodel with a string of bad news boyfriends “wins” a volunteer firefighter at a charity bachelor auction, Rose and Ryan might both discover they’ve found their perfect Christmas match. A fun and romantic holiday tale set in the fictional town of Green Pines, Illinois. USA Today bestselling author Milou Koenings writes heartwarming romance novels because sweet stories with happy endings are like chocolate – they bring joy to the world and so make it a better place. She’s lived all over the world, working as an editor and newspaper columnist, but loves staying home with her family most of all. She's the author of the Green Pines Romance series. by Josie Riviera, USA Today Bestselling Author. Sometimes the best gifts are hiding right under your Christmas tree. His emotions were once trampled flat. Can he throw his heart over the fence toward the ultimate Christmas gift—a future filled with love? A holiday tale about the healing power of love, set in the charming fictional town of Cherish, South Carolina. by Roxanne Rustand, USA Today Bestselling Author. Kindergarten teacher Heather thought all her dreams were coming true—until she was jilted by her fiancé three months before their Christmas wedding. Since the honeymoon to Paris is already paid for, Heather determines to go sans groom and have a great time, no matter what. Love is not part of her travel plans, but when a handsome young doctor literally runs into her on the street, the magic of Christmas in Paris may cause a change of heart. by Kristin Wallace, USA Today Bestselling Author. Ten years ago, Mia Reynolds and Win Barrington spent one magical Christmas together—until lies and manipulation tore them apart, and left Mia to raise a daughter all on her own. Now, both are back in their hometown of Palm Cove, Florida just in time for the holidays. Once they uncover the truth about what happened, can Mia and Win rediscover love and celebrate a Second Chance Christmas with their daughter? by Mary Alford, Publisher’s Weekly Bestselling Author. She was the love of his life, until a tragic accident on Christmas Eve left Charlotte Swenson in a coma. For eight years, Sheriff Dylan Parker of Bitter Creek, Colorado has held on to the hope that somehow his love will find a way back to him. And when Charlotte opens her eyes, just days before Christmas, Dylan can’t help but believe a holiday miracle may grant his every wish. Publisher’s Weekly bestselling author Mary Alford was inspired to become a writer after reading such romantic suspense greats as Victoria Holt and Phyllis Whitney. Creating characters and throwing them into dangerous situations that test their faith was a challenge, but 2012 Mary received “the call” to publish her first book — a dream come true. Today, Mary writes Christian romantic suspense, and small-town contemporary romances. When a freak winter storm strands them alone at the Team Macachek barracks in Central New York, champion motocross racer Royce Evans and out-of-work investigative reporter turned pizza deliverer Samantha Linder strike a bargain that benefits them both. But when it appears Sam has broken the agreement, will the spirit of Christmas be strong enough to save their blossoming holiday love? Award-winning sweet and inspirational author Jean C. Gordon writes what she knows best — small-town, happily-ever-afters set in her native Upstate New York. He needs a fake girlfriend to advance his career. She needs a pretend date to keep her mom off her case during the holidays. The solution to both of their problems? A contractual relationship with one clause: neither of them can fall in love. A Christmas tale set in romantic San Francisco that will cause this reluctant couple to rethink the “no love” clause. Liwen Y. Ho writes sweet and inspirational romance infused with heart, humor, and a taste of home (her Asian roots). She lives in California with her family and blogs about life as a recovering perfectionist. Welcome to the review tour for Once Upon a Lady by Addie Jo Ryleigh. 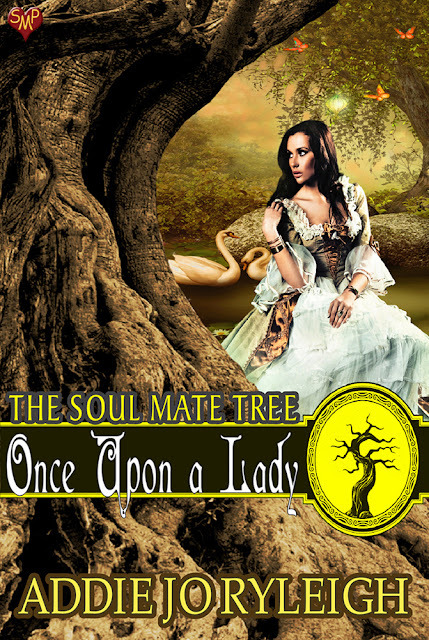 This is another book in The Soul Mate Tree series, where lovers are brought together by a magical tree. I have been reviewing several of these books, as the concept fascinates me. This is the eighth book in the series. As always in these tours, you will find an excerpt here with my review. You can follow the tour for even more excerpts and reviews. Please leave the author comments and questions along the way and take advantage of extra chances to enter the giveaway for a $25 Amazon gift card. I received a complimentary copy of this book in exchange for my honest review. All thoughts and opinions are my own. Affiliate links are also present within this post. Should you make a purchase through one, I may earn a small commission to help support my websites at no additional cost to you. I don't often like to read historical romances, but I wanted to give this book a shot since it was a part of this series. I just love this idea of a Soul Mate Tree and have been enjoying seeing how the various authors interpret it. I think fans of the genre are going to really like this book. And while it gave me flashbacks to the "bodice rippers" my mother used to stash in her room for some reason, it really was better than those books ever were. I admit I tend to balk a bit at those insta-love stories, regardless of the time period. But I found it intriguing how each of them were drawn to delve out of their normal desires and class/family expectations after this inexplicable encounter with the tree. I liked the chemistry between the two of them, their chess moves back and forth and flirting. And I liked the modern views of some of the characters clashing with the old-fashioned views of some of the other ones. There's a strength and empowerment factor possessed by them which makes the historical romance a bit more palatable for me. It was a quick read that I enjoyed on a warm afternoon on my porch. Addie Jo has lived in the same cold-winter-hot-summer area of Minnesota her entire life. Sharing in the raising of her three extremely rambunctious boys is her very understanding husband who endured being dubbed “The Duke” by his co-workers. Keeping Addie Jo company while she writes (besides her wonderfully loud children) is her yorkipoo, Bella, who is never far from Addie Jo’s side. And recently the newest addition to their family, a black lab puppy named Max. Addie Jo Ryleigh will be awarding a $25 Amazon GC to a randomly drawn winner via rafflecopter during the tour. The blooming of the rare and mysterious blue rose heralds great change, for when the buds open to full blossom enemies become lovers. Some fear this omen, some desire it. All respect it. Follow the journey of these brand new historical romance tales from USA Today and Bestselling authors and discover the power--and the promise--of the blue rose for yourself. When Lady Violetta Molineaux is injured falling into an underground tunnel, she's rescued by her enemy, Lord Osric Seabrook. Afraid to reveal her identity to him, Violetta maintains her ruse of being a commoner. Yet, when she and Osric discover a secret in the tunnel, one that involves the rare blue rose, they must acknowledge shocking truths that could change their lives forever. When an unprovoked raid on his clan's stronghold means that Logan MacAllen must assume the position of laird, he is bent on revenge. Determined to take and destroy the one thing that means more than anything to his sworn enemy--his only daughter--Logan must harden his heart to the beguiling lass, or risk losing it to the rose he discovers among thistles. Martin Banks can't resist a chance for revenge when he buys Livvy as a companion in exchange for her father's debts but he never planned on falling in love. I was compensated via Fiverr for sharing this post. I only share those books that I feel will be of interest to my readers. There are also affiliate links present within this post. Should you make a purchase through one, I may earn a small commission to help support my websites at no additional cost to you. The Limit Is When You Say Stop™ Vo. 2 "It's My Time," is the ultimate answer to life's challenges, bullying, relationship building between friends and family, and dealing with shortcomings while becoming an inspired individual. A brief glance at the table of contents will captivate any individual in search of an invaluable resource for empowerment, bully prevention, and inspiration. No matter the age demographic, this is the perfect book for schools, after-school programs, youth groups, corporate environments, and churches, etc. 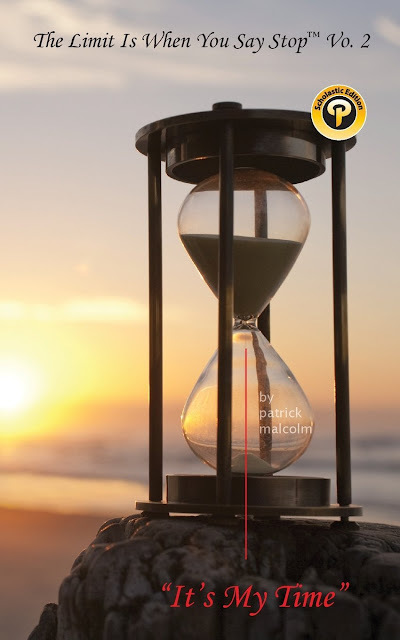 Patrick Malcolm was born and raised in Jamaica West Indies by his single mother. With the loss of his father at 4 months, Mr. Malcolm supported his family as eldest and only son of three siblings at an early age. Responsibility was instilled in his early years and became an integral factor in how he has matured from child to adult. Mr. Malcolm has always done whatever possible to provide guidance and care-take, for the sake of his mother and his family, then and now. 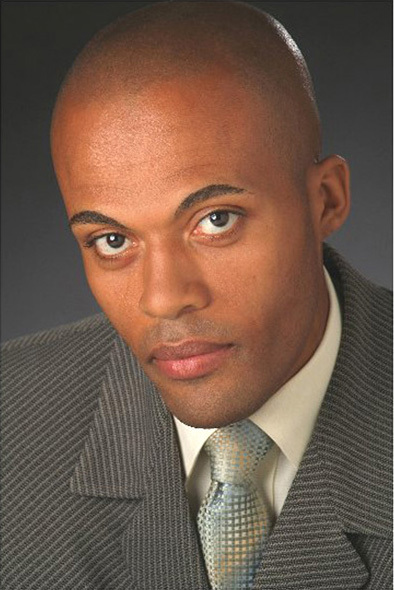 Mr. Malcolm’s drive and determination have led to a successful career as an Actor/Stuntman & Precision Driver. His appearances include various print magazines, commercials, and TV appearances in shows such as Law and Order and HBO series OZ with stunt and precision driving performances in films such as The Sorcerer’s Apprentice, The Taking of Pelham 123, The Secret Life of Walter Mitty and Batman, to name a few. Mr. Malcolm also takes time to help those in need of advice, encouragement and/or a lending ear through written word and speech as Author/Motivational Speaker. 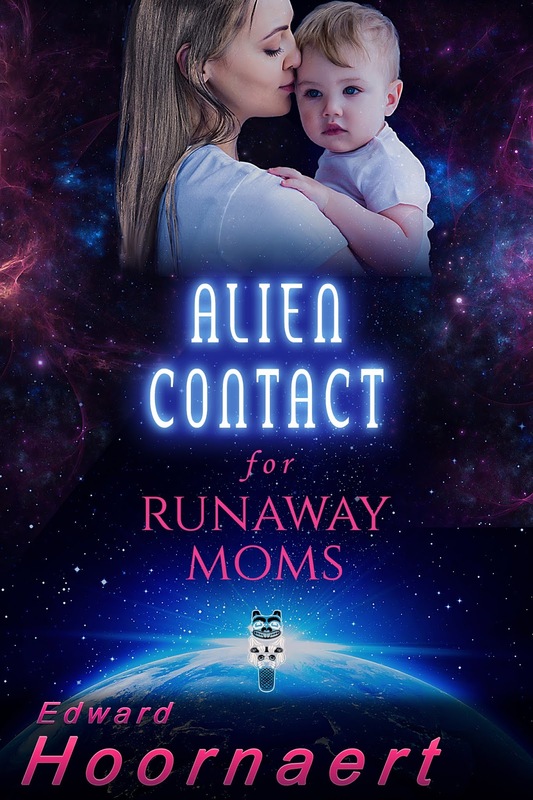 Welcome to the blog tour for Alien Contact for Runaway Moms by Edward Hoornaert! This is a new science fiction novel with romantic elements in it. I have an excerpt for you to check out. If you want more excerpts and some reviews, follow the tour. You can leave questions and comments along the way, plus have more chances to enter the giveaway. “Are you sure you want to do this?” As soon as the words fled his mouth, he realized how stupid they were. Of course she was sure. Nothing could stop such an elemental force of nature. She was Spirit Mother, walking amongst humans to teach him, Tal Pelletier, some of the many lessons he needed to learn. Belying her words, she reached for one of the massive, marrel-plastic door handles. Pulled. It was too heavy for her. When he grasped the handle to help, his finger grazed hers. She froze. She was a slight woman with delicate, haunted features; she had to tip her head back to meet his eyes, almost as though asking for a kiss. Just as he needed her spirit’s strength, she needed his physical strength—but not his lust, which was tainted with anger and despair. Never that. So he kept his lips to himself. Together, they pulled open a door onto the ghosts of a past that had never existed. He blinked. Although the cavern’s lights were dim, they were too bright after the ventilation tunnel. The cavern smelled and felt different. The air in the ventilation tunnel was raucous and angry, but out here it was still with resignation. Audra moved, startling him. She touched her forehead, the baby on her chest, then both shoulders. He puzzled over her movements for a moment but then recognized the sign of the cross. The gesture was perfect, showing that she realized the mystical power of the world of his ghosts. She was indeed a Spirit Guide, sent to help him overcome his demons.